On the coast at Santa Maria di Castellabate, south of Salerno. As you know I haven't been posting regularly for quite some time. Well, we were out and about in southern Italy for a month and I have so much fodder for the blog! I love the regional diversity of Italy and the south offered us so much more to see. Wonderful hotels, Roman and Greek ruins, castles, Romanesque churches, Baroque architecture, fabulous regional food, gardens and spectacular views, as well as a wonderful historic spa will all be coming up. 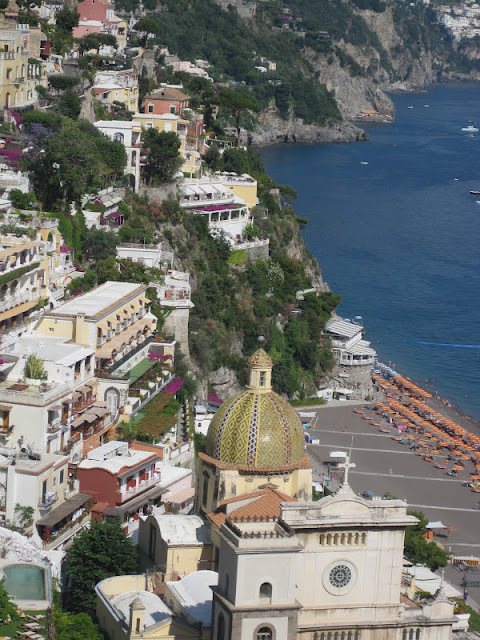 The beach and church at Positano on the Amalfi coast. To introduce the trip it might be helpful to share the itinerary. We started with two days in Naples, three on the Amalfi coast in Positano, then nine days traveling through Puglia (the heel in Italy's boot), a memorable night in Matera (where the houses are carved into hillside), a week in a rented villa in Cilento south of Salerno, three days on the island of Ischia and one final night in Naples. As usual I will be blogging about the places or themes that interest me, so even if I start with something chronological it doesn't often stay that way! I can't wait to share our journey so here are a couple of pictures just to whet your appetite for the provinces of Puglia, Campania and Basilicata. The beautiful island of Ischia. 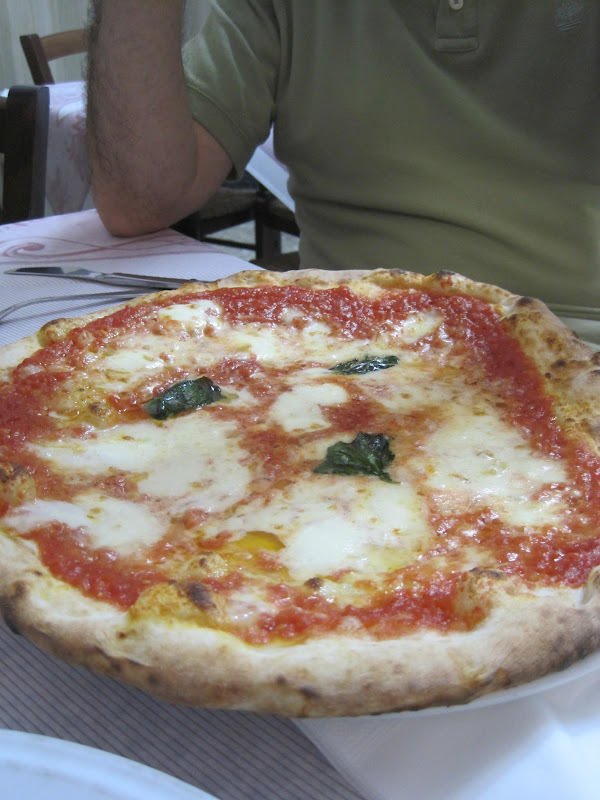 Ahh... Neopolitan pizza, the best in the world! Spectacular Roman glasswork in the collection of the National Archeological Museum in Naples. Thanks for letting me know! IT'a always great to hear from people.